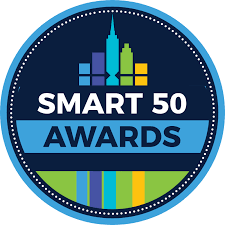 Check out some of the other Cities selected for an award: Greenville, SC,Tel Aviv, Israel, Warsaw, Poland, Rio de Janeiro, Brazil, Soma, Turkey, Lund, Sweden, Brussels, Belgium, Berkeley, CA, Bhopal, India, Philadelphia, PA, Chattanooga, TN, Austin, TX, Boise, ID, Montreal, Quebec, San Leandro, CA, San Francisco, CA, Limerick, Cork, Dublin City, Ireland, Kansas City, MO, Bhopal, India, Atlanta, GA, etc… We’re in good company. Laura Hammonds, a student at Pennsylvania State University, called me in the Fall of 2013 asking for an interview to learn more about local activities in solar power. Here are her notes on the interview and her paper on Energy Independence. I love Ypsilanti and I support Solar. 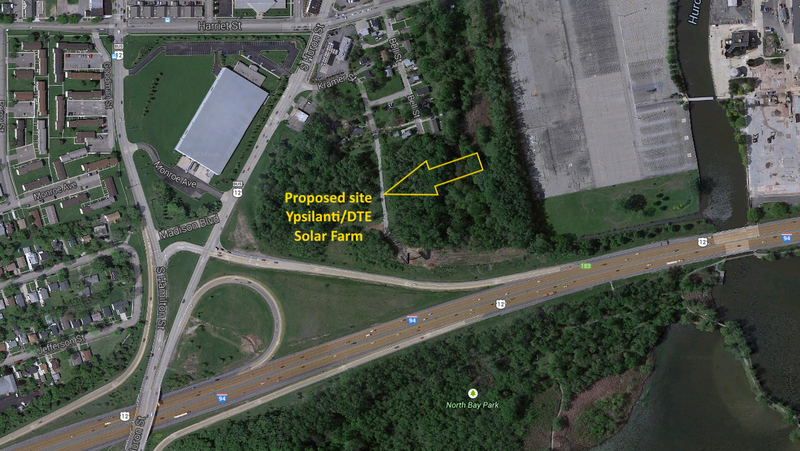 The Ypsilanti location is the smart choice for DTE and Ypsilanti and the solar farm as it reuses a landfill. The location has high visibility with over 100,000 cars pass it along I-94 every day and the property is immediately available. In the Fall of 2012, DTE Energy asked communities for locations to install a large solar array from 500KW up to 2MW. DTE said that they would prefer locations in Detroit and along major expressways like I-94. more. 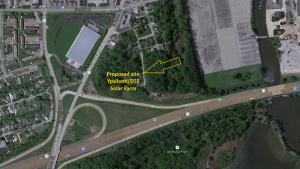 Solar installer SunDurance and the City of Ypsilanti responded with a proposal to install the solar array on the long abandoned City owned landfill along I-94 near Huron Street, exit 183. Here are a couple of news articles about the project. Ypsilanti is Shovel Ready. The City Council has already approved the agreement. The location meets DTE’s requirement for high visibility along I-94 with over 100,000 cars driving past every day. Old landfills are a perfect location for a solar array making use of land that would otherwise sit idle forever. A ballasted solar rack design has no ground penetrations and poses little to no risk of disturbing the landfill’s contents. 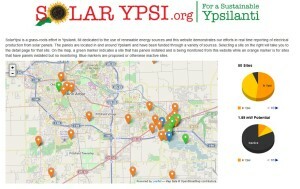 Ypsilanti is already very pro solar and well on it’s way of making itself a “Solar Destination”. Here are some other solar landfill examples. Share this with your friends and ask everyone you know to sign the petition. You don’t have to live in Ypsilanti to sign the petition and only your Name and City will be shared with DTE. This was in the news recently. With Pittsfield Township and Ann Arbor arguing over the solar array near the airport, Ypsilanti reconfirmed their willingness for an array on our town. It’s been another interesting year for solar power in Ypsilanti and the surrounding area. We finished the year with about 50 solar installations on the website. I say “about” because some are very small, a single panel for WirelessYpsi in Frog Island, and some very large, like the Corner Brewery’s 140 panels. The important part is that the number of systems in Ypsilanti and the local area is growing. Of the 50 installations, 26 are in the City of Ypsilanti, and I know of 2 other system not on the website, and 5 systems that are in the process of being installed that should be finished by the spring. The SolarYpsi.org website now has 183 documents which are mostly data sheets for solar panels, inverters, and racking system and 748 images of the 50 solar locations. Many thanks go to Steve Pierce at HDL.com for hosting the SolarYpsi website, and our continued thanks also goes to Nik Estep a graduate of EMU that built and still maintains the website. SolarYpsi got published in the national magazine HomePower, with an article about the solar installation at 323 Oak street and was also on the local TV show CitiTV Channel 19. SolarYpsi continues to give solar presentations to small groups and individuals. In 2014 SolarYpsi gave 9 talks reaching 460 people face-to-face. Most of those reached where at the annual Ypsilanti Heritage Festival where SolarYpsi has installed a large solar installation for the third year in a row. The biggest news this year was the anonymous donor that is funding 5000-watt solar installation for six non-profits organizations around town. You can read about it here. The most disappointing news of the year has been the lack of progress on the DTE solar farm that was planned for the South end of town near the highway. Solar power is growing, but we really need to pick up the pace if we want to hit a 1000 roofs by 2020. A quick review of the SolarYpsi website shows the number of systems installed per year as 2 systems in 2009, 4 in 2010, 10 in 2011, 8 in 2012, 12 in 2013, and 12 in 2014. 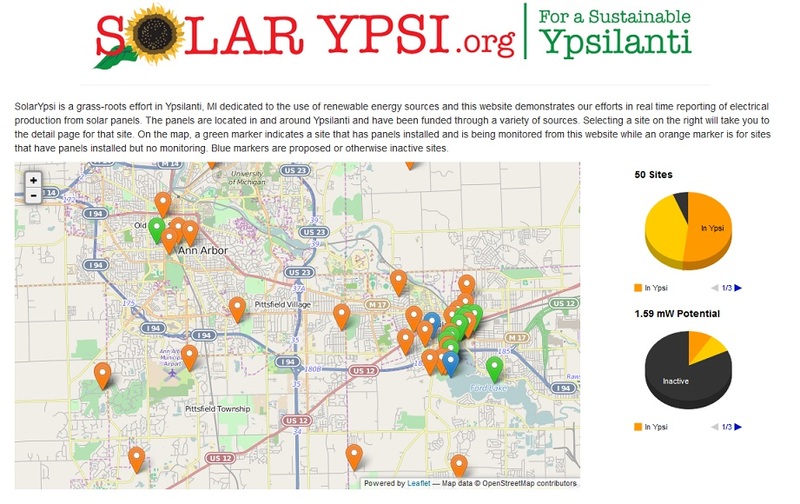 The goal for SolarYpsi for 2015, our tenth anniversary, is to continue to promote solar within the City of Ypsilanti. We need to encourage more people to put solar panels on their homes and businesses and to continue to look for grants, donors, loans, etc that will lower the price for residents to install solar power. The future continues to look bright, but we need more solar installation in the City of Ypsilanti if we want to become a “Solar Destination“. Cameron Getto has been making lots of aerial videos of the solar installations around Ypsilanti. While we have been putting links to those videos on the individual installation pages, it’s hard to view all of them one after another. To fix this, Cameron made a YouTube playlist which we have linked to on the SolarYpsi YouTube Channel. You can see it here. Break out the popcorn and a yummy beverage, sit back and enjoy flying over some lovely solar installation.